The Annual Club trip to New York has come to a close and a great time was had by all who traveled. All looking forward to next years trip already with only 51 weeks to go. 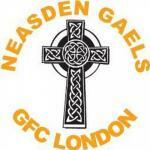 Neasden play Harlesden in the Intermediate Championship Preliminary Round this Sunday 25/03/18 in Greenford with throw in at 15:30.